*PLEASE NOTE* Because each custom piece is hand made and unique, exact pricing is hard to pin point ahead of time. These prices are an estimated price for full intricate, detailed items. Prices can vary for simple, less detailed designs and is something we can discuss. Also note that extra length, material, accessories, etc may reflect in the end total as well. Message me if you have any questions. I look forward to creating something special and unique just for you (or a loved one)! Above prices are for wall hangings made with 4 mm natural colored cotton rope (as seen in photo). There will be an extra charge for added embellishments and accessories such as beads, copper accents, feathers, dyed rope, floral/greenery, etc. There will be an extra charge for added embellishments and accessories such as beads, feathers, extra colors, dyed rope, floral/greenery, etc. * These prices are for standard designs such as the photo shown. 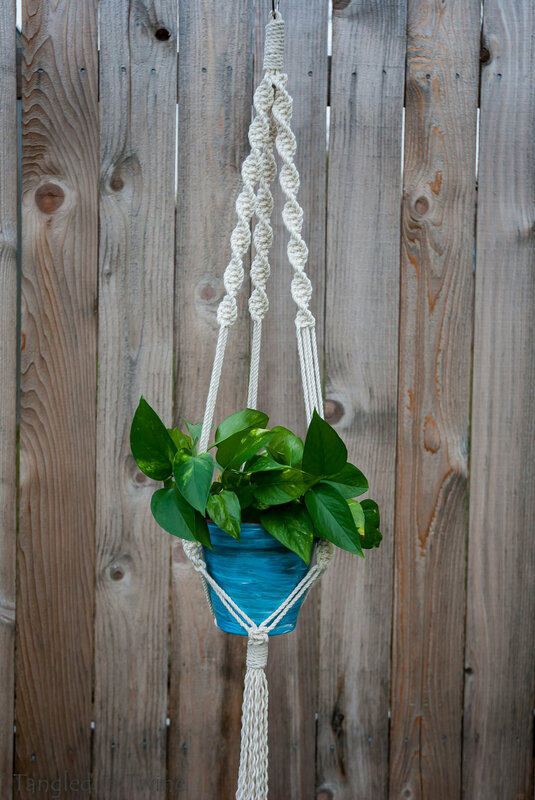 Plant hangers can be made with cotton rope or poly cord. Poly cord is recommended for outdoor use and comes in a variety of colors. Please message me for more details. *Add some natural wooden beads for extra detail! *Cotton rope plant hangers can also be dip dyed in your choice of color for an ombre' effect! Is there a specific design that you have in mind? Message me and we can work together to create that perfect piece for you!